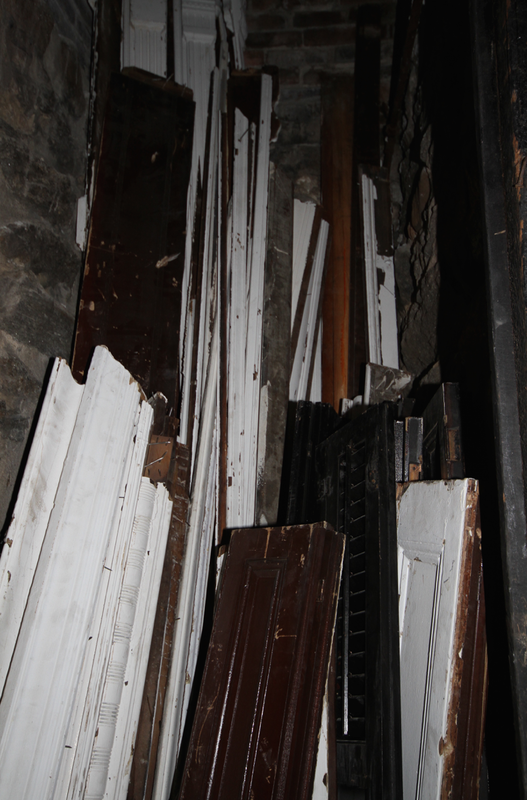 I had every intention of organizing the mess in the cellar today, because I need to make room for a whole house worth of trim (but not before removing approximately a million billion quadrillion nails – I’m totally not exaggerating. There A LOT of nails). The situation is dire, and I need to make room for more dusty treasures by Monday. an itsy bitsy sample of the mess in the cellar. Yet, it’s past 4 o’clock and the only reason I’m not in my pajamas is because I had to take the garbage out this morning. The rest of the day was spent poking around the interwebs researching the builder of my house. This is all because of tag found on the back of the salvaged mantle from yesterday. It seemed to have the tiniest of vestiges of a name I recognize: Daniel McDicken, the man who built my house (on spec). So one Google search leads to another, and my two great enablers: BPL’s digitized collection of The Brooklyn Daily Eagle, and Columbia University’s collection of the Real Estate Guide lead me down a rabbit hole that is just impossible to resist. So… basically nothing got done today. While you’d be shocked to learn that my pile of trim did not neatly stack itself (crazy, right?) you might be amused to learn that Mr. McDicken advertised his houses as “the most complete two family house in the market; two baths; two refrigerators; dumb-waiter; everything latest.”Even if the refrigerator was an ice box (this was 1896, after all), it’s still pretty cool. Some of my neighbors still have theirs. We, sadly, do not.